A few years ago, a photo circulating on Facebook caught my eye. 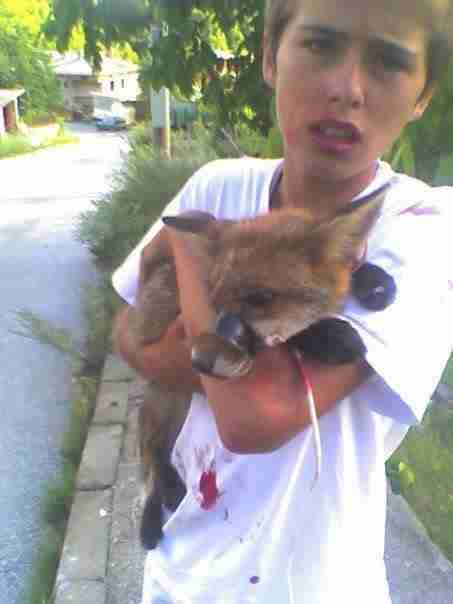 It was of a 15-year-old boy who had rescued a fox from being abused by a group of men. That young man, covered in blood and holding on to a fox whose muzzle had been taped shut, was Luke Rowles who, along with his family, had moved to Bulgaria in 2007. Shocked at the treatment of the local street dogs and encouraged by their son's relationship with a street dog named Ranger, the family set up the RSDR Rudozem Street Dog Rescue. They have since rescued hundreds of dogs and cats from the streets, many of whom have now been adopted in countries including the Netherlands and the UK. A recent rescue was little Rosie. Rosie was first spotted cowering in the gutter at the side of the road. People were simply stepping over her, seemingly oblivious to her lying there cowering beneath them. 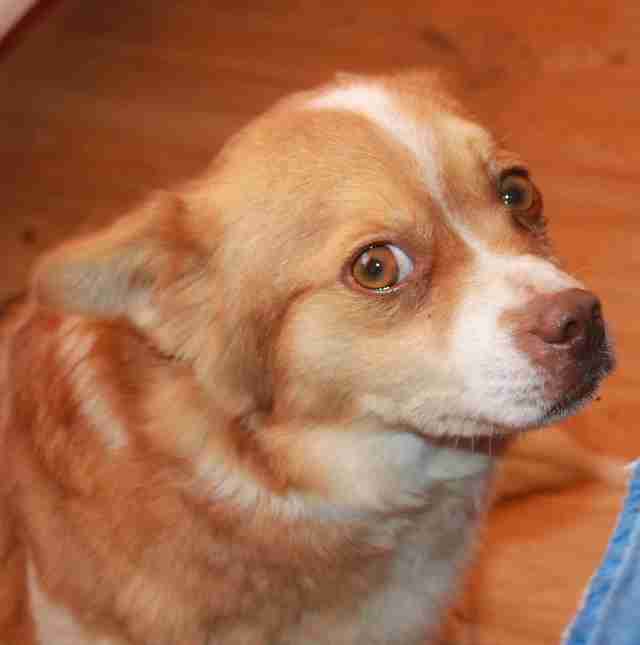 Rosie was taken back to the shelter but, unbeknownst to her rescuers, she was in fact pregnant. 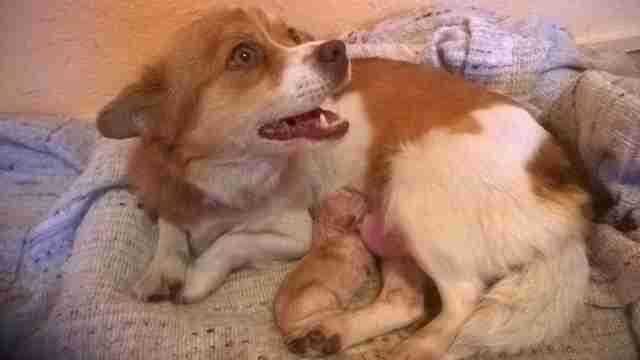 She proved to be a wonderful mum and her two pups, Bella and Baxter, have since grown up and been adopted in the UK. A few days ago, Luke's father Tony was handed a box containing three tiny kittens. 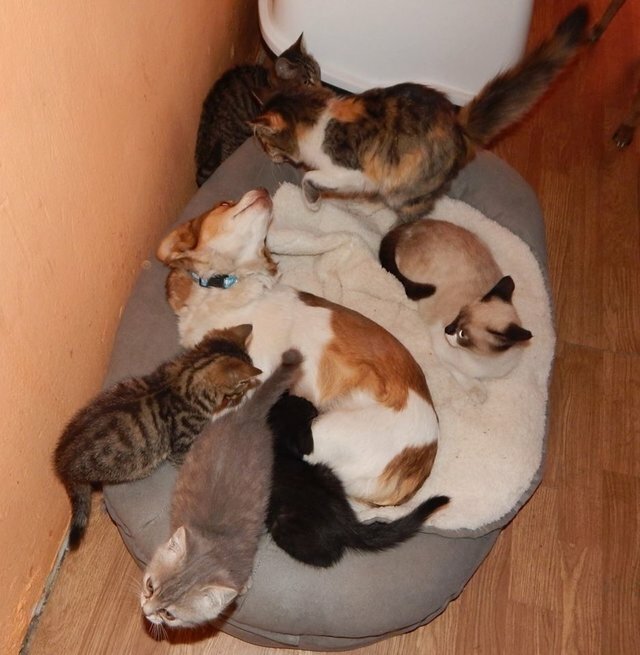 This was an unusual occurrence in that he was actually given the kittens, rather than finding them abandoned somewhere. 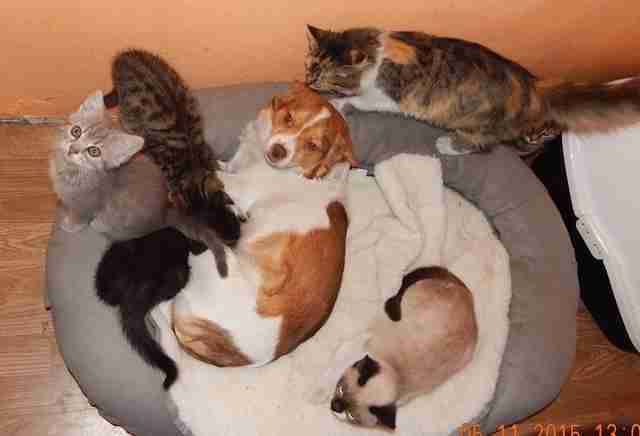 Due to Rosie's placid nature, the kittens were put with her and she allowed them to comfort-suckle. At the time, she was no longer producing milk. However, the kittens soon started suckling for real as little Rosie started lactating again, becoming the perfect foster-mum for these tiny kittens. Adoption requests have come in time and time again but the family simply can't let Rosie go. I feel, as I'm sure they do, that little Rosie has found her calling in life. Who knows what the future holds for her but it is certain to be safe and full of love from now on. You can follow RSDR on Facebook, where you will find all the recent rescues and updates, as well as links to their appeal to build a new shelter. All videos and photos taken from RSDR Facebook page.